Last term saw Kingsbury High School become the location for the 2013 Send My Friend to School campaign. A number of Kingsbury High School Year 8 students were selected as cast members for the seven minute film. Kingsbury High School has been supporting the Send My Friend to School campaign for seven years. The campaign, which has a different theme each year, aims to remind world leaders of the promise they made in 2000; that all children worldwide would get a quality primary education by 2015. This year’s theme, ‘Every Child Needs a Teacher’, focuses on the global teacher shortage; it is estimated that 1.7 million more teachers are needed worldwide to get every child into school. A film crew from Hands Up, spent a day at Kingsbury High School on a cold, but fortunately dry, November day. They filmed scenes with Year 8 students, highlighting the need for more trained teachers globally. The film follows the journey of a young boy, Adam, who, as he walks to school in London, thinks about all the different careers he could have when he grows up. On arrival, he and his classmates discover that there are no teachers to teach them and that without teachers, a school is just a building. The film will be shown to around 6,000 schools across the UK who sign up for this year’s Send My Friend to School campaign. Schools can get involved in the campaign by requesting an activity pack from the Send My Friend website. This week, as part of International Inspiration, London 2012’s official international sports legacy programme, Kingsbury High School is playing host to their partner school from Egypt, the El Tabary School in Cairo. International Inspiration has enriched the lives of more than 12 million children in 20 countries and encourages schoolchildren, teachers and coaches in the UK to learn about other cultures and exchange knowledge and experiences with peers in International Inspiration countries. The programme is delivered around the world by a unique partnership of organisations including the British Council, UNICEF and UK Sport. On Monday 28th January 2013, staff and students at Kingsbury High School welcomed two members of staff from the El Tabary School. Flag waving students lined the entrance and corridors of the lower school. Mr Mahmoud Ibrahim Fahim Hassan, Head Teacher, El Tabary School and Mr Magdy Fathy Hamed Ebrahem, Lead P.E. Teacher, El Tabary School are in Kingsbury High School, engaged in a week long programme focused on sport. They will be involved in activities including, primary school sports festivals run by Kingsbury High Schools’ students, Cricket, Archery and Gymnastics. On Monday 14th January, the whole of Year 7 took part in an exciting ‘reading for enjoyment’ Excel day designed to encourage and celebrate reading. Both students and staff dressed up as their favourite book character with often imaginative and visual stunning results! Throughout the day a range of exciting activities were experienced such as: drama performances and role plays; reading aloud beloved preschool books to develop students’ story telling skills to engage young children; and manipulating words to create enigmatic riddles in the style of J R R Tolkien! Students consistently celebrated their reading by building a reading tree; watching it grow throughout the day by adding to it all the elements they loved about reading books. From characters and action to voice and writers’ style, one thing is clear: the staff and students have many reasons to love reading here at KHS! 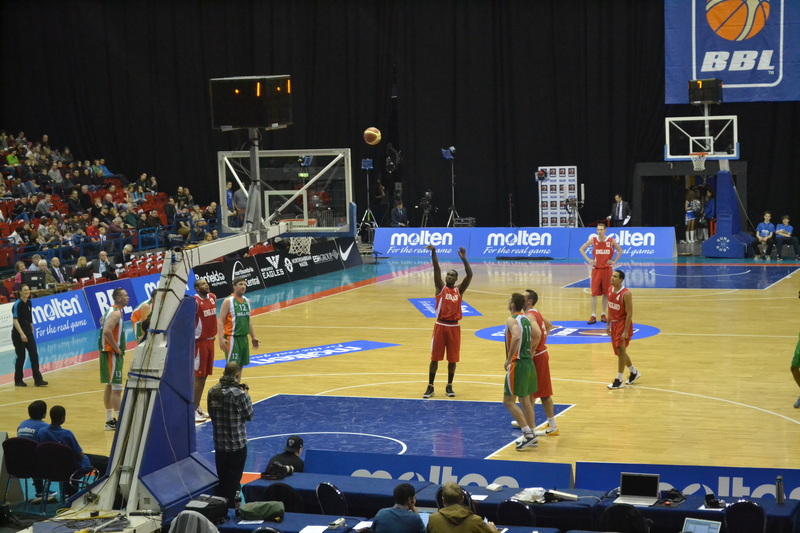 On Sunday 13th January, 30 students and 4 staff made the long drive to Birmingham National Indoor Arena to watch the BBL Cup Final between Leicester Riders and Newcastle Eagles. Before the match, students enjoyed the support acts, which included an England v Ireland select match, a slam dunk competition, an acrobatic display and various cheer leading performances. Newcastle Eagles fell at the final hurdle in the defence of the BBL Cup as fierce rivals Leicester Riders beat them 80-85. The students had a fantastic day and wanted to thank Mr Donald, Mr Froy, Ms McNeil and Ms Withey for giving up their Sunday. On Wednesday 09th January 2013, Kingsbury High School students competed against each other in the school heat of the annual RIBI Young Chef Competition. The participants were three students in Year 10, two Year 8 students and eight from Year 7. While some of the students were chosen based on their performances in their Food Technology lessons, others demonstrated their passion for cooking in the school’s trial sessions. Students were asked to create a main dish for two, from ingredients costing less than £6.00, against the clock. Three judges from the Rotary Club of Northwick Park; Sandy Myrants (Club President), Lucille Parker (Honorary Secretary) and Helen Antoniou evaluated the dishes on criteria including presentation, organisation, health and hygiene. The winner, 14 year-old Olivia Taiwo who lives in Kingsbury, cooked a Sea bass en croute with puy lentils, served with roasted tomatoes and parched asparagus. Olivia, along with runner-up, 15 year-old, Sara Zaidi, will go on to compete in the North West London area semi-finals at the College of North West London on Wednesday 30th January 2013. Kingsbury High School are seeking nominations for the position of Parent Governor of which there are two available positions. It is hoped that parents/carers will consider standing for election themselves or nominating another parent/carer to do so. for further information, please see: letter from the Headteacher and/or the nomination form. The Kingsbury High School annual Pantomime took place on Thursday 20th December 2012. Approximately 900 students in Years 7, 8 and 9 were entertained by the performance, 007 Meets Cinderella, which was produced by Mr. Fuller, the schools E-Learning Manager.